So what is #SciComm anyway? Here’s a hint: it’s not a sci-fi comedy television genre! SciComm is short for Science Communication, a young field of science featuring the voices of many science advocates coming together to communicate their expertise in an engaging and easily understandable way to the general public. With the popularity of social media platforms like Facebook, Instagram, and Twitter, there’s no better time than now to raise awareness about science issues and open up a world of possibilities. Today’s science communicators include a wide range of experts such as chemists, physicists, biologists, geologist, astrologists, and even marine biologists like Danni Washington. Danni Washington’s role in science communication has grown exponentially over the years along with her ability to reach all ages, primarily young kids, educating them about our oceans and inspiring them to take action. Her passion for SciComm started at the young age of 21 when she co-founded Big Blue & You, a non-profit, 501(c)(3) organization that teaches youth about marine conservation through the arts. Her science communicator status grew as an on-camera personality and filmmaker for a science education video series called Untamed Science, and Ocean GEMS, a multimedia series and program which connects teens to otherwise perceived inaccessible, marine scientists. Some of her most beloved SciComm projects include the promotion of youth in STEM careers which are featured in the TV series, XPLORATION NATURE KNOWS BEST. In addition, Danni is co-creator and producer of Sea Youth Rise Up which inspires youth leadership in ocean conservation policy and advocacy on World Oceans Day held June 8th each year. why is #scicomm so important? A crucial part of science communication is accessibility for the general public not only though multimedia, but through hands-on learning and face-to-face outreach. Danni uses her voice to spread the word about the importance of ocean conservation and the opportunities provided by career paths in STEM. As an avid STEM supporter, Danni was named spokesperson at #SciFest, the USA Science and Engineering Festival, which Danni highlights on her blog. She has also held many other speaking engagements such as Algalita POPS International Youth Summit, Blue Vision Summit, and the Girl Scouts National Conference, just to name a few. For Danni, the microphone is just one to share knowledge and spread a positive message. Now with the growing participation in social media, Danni and other science influencers have found a new level of outreach. Rob Nelson, is a marine scientist and the filmmaker behind the successful science series, Untamed Science, in which Danni has participated. Rob’s goal is to make science entertaining and educational, but most importantly accessible to the masses through sites like YouTube. Perhaps one of the biggest stars of SciComm is someone in the field of stars herself. Dr. Jedidah Isler is an astrophysicist and studies blazers - supermassive, hyperactive black holes that emit powerful jet streams. She’s an outspoken advocate for careers in STEM, and works to break down barriers facing women of color. 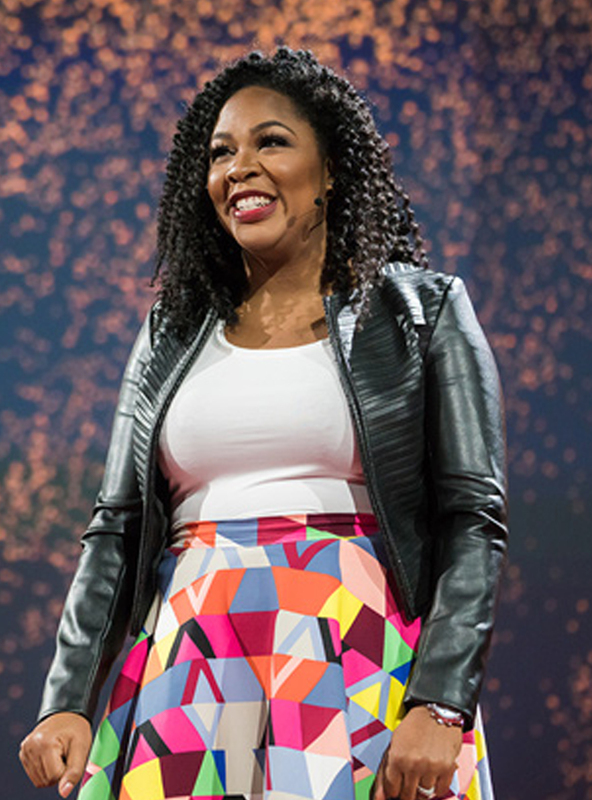 She has delivered numerous speeches and has been a guest speaker for the ever-popular series, TEDTalks. Samantha Yammine is a popular science communicator on Instagram that focuses on neurobiology and sharing her research with the world. Like Danni, she utilizes the digital video platform and believes in harnessing the power of social media to exchange ideas. You can follow her on Instagram at @science.sam. Dr. David Shiffman has many years of experience as a science communicator and is known for his passion for shark science and conservation. He has a large following on social media, primarily Facebook and Twitter. These are only a handful of notable SciComm contributors. With the interest and popularity of science growing each day, and the ability to share ideas through social media, who knows what new doors science communication will open and what number of future science advocates and voices it will produce. The future is looking bright for science communication. How will you get involved? The amazing Media Zone at the USASEF served as Danni’s home base where she got to meet and speak to some great minds including leading scientists, speakers and various guests who attended the expo. All this while being surrounded by some of the latest and leading technology in the STEM universe. Danni was the proud spokesperson for USA Science and Engineering Festival in 2018 and is really excited about the future of STEM. It is so important that children embrace STEM and see how it can work and what it means for the future. So many of the young people really look forward to these SciComm Festivals and this is why it is so important to have such events taking place regularly. It harnesses the talent and thinking ability that other topics and subjects do not necessarily tap into. It is fun, engaging and definitely the way of the future. See where STEM can take you! STEM is an incredible adventure. It can take you on a journey into OUTER SPACE where you can visit our Sun which is 93 million miles away, astronauts and astronomers will be there to guide you on this journey. After that you can take a trip into CYBERSPACE, not just a place but something that is all around us. How about meeting with some of the leading medical researchers and taking a look inside THE HUMAN BODY, and discover how microorganisms outnumber human cells by 10 to 1! Next you can learn about the magical world of ECOSYSTEMS and BIODIVERSITY when you enter the WORLD OF NATURE through STEM. And last but certainly not least, you can go down below into the DEEP BLUE and discover the 94% of ocean which has never been explored. STEM - a new adventure around every corner! Learn more about where STEM can take you in these video series Danni filmed for the USA Science & Engineering Festival!